It’s far from the first title from Wadjet Eye Games that successfully found its way into the ever-expanding Steam library, so the addition of Resonance is hardly a surprise; even more so considering the praise it has received from both fans and critics. 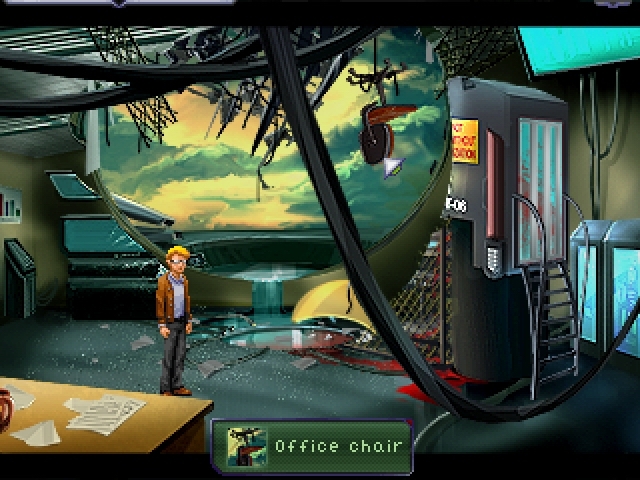 But.. before there was Resonance, there was the Blackwell series (Deception, Legacy, Unbound and Convergence ) and of course the indie hit Gemini Rue and like Resonance, they are also adventure games with a very “retro” art style and point ‘n’ click controls that together with a solid story and a user-friendly interface provide entertainment from start to finish. Unlike Gemini Rue and the Blackwell series however, Resonance is a joint effort between XII Games and Wadjet Eye Games and it’s taken them five years to make, but so far it certainly seems like time well spent. Oh how I love adventure games with focus on mystery and suspense! So let’s see.. But wait, that’s part of every version of the game and since it’s been available for some time now from both the developer directly and GOG, what makes the Steam version any different? Two things: Steam Cloud and 38 achievements! On top of that, it’s currently enjoying a 10% discount until August 1st for those who are interested in picking it up right now. Wadjet Eye Games official website, Facebook and Twitter. XII Games official website and Twitter.